Kabbage is a loan origination company that helps small businesses secure loans quickly and easily. Kabbage, based in Atlanta, Georgia, was founded in 2009, and is no newcomer to the business lending industry. Getting approved for business loans has, in the past, been seen as a huge hurdle to potential borrowers riddled with a lot of unknowns. To help remedy this, Kabbage software was created to be streamlined, making the process incredibly simple. Kabbage doesn’t just use a business or business owner’s credit score to determine their eligibility for a loan. The Kabbage website and app both allow the business owner to link up their online accounts (whether that be checking accounts, operational accounts, savings accounts, etc.) to the Kabbage platform. All major platforms are available to be linked, including PayPal, Stripe, QuickBooks, and more. By doing this, Kabbage is able to estimate business growth metrics such as gross revenue and average expenses, which can often give a better indication of the health of the company. This financial snapshot of a business’s standing is what ultimately determines the amount Kabbage will give out in a loan to each small business owner. 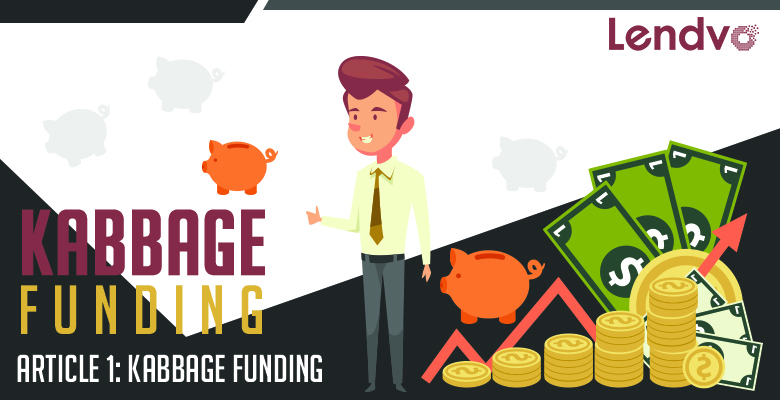 A large benefit, however, is that Kabbage can be queried for loans in this manner on an ongoing basis, so improving business in a given quarter can show favorably on the Kabbage platform, increasing the amount of loans offered. There are some minimum qualifications to get started with Kabbage. The small business in question has to have been in business for at least over one year, with operational statements to verify. Additionally, total gross revenue (also known as total sales) must equal $50,000 annually, or at least $4,200 a month over the previous 3 months before applying. These qualifications help weed out brand new businesses with no track record, as these companies have a higher chance of default and are a risk to Kabbage as borrowers. The actual process of applying to Kabbage for a business loan is completely free, with no upfront fees. Additionally, the business owner isn’t obliged to actually accept the loan funds even if they are offered, and can sit on the offer if the funds might be better utilized in the future. After going through the full application process, most applicants receive a decision within a few days, usually sooner. The prepayment of loan funds throughout the length of the loan is straightforward as well; the monthly loan payback can be accessed through the Kabbage website. Each payment is due monthly, and there are no prepayment penalties or other fees if you decide to pay back the loan in full at any time. The rate on Kabbage loans depends completely on the financials of the business. The technical range of possible interest goes from 20% to 106%, quite a large spread. However, most agree that the average rates on a yearly basis land within the 30% to 50% APR range. For a point of comparison, Kabbage’s major competitor in the small business lending space, OnDeck, offers loans within virtually the same price range. So why choose Kabbage over OnDeck? Kabbage issues loans with a maximum size of $150,000, and for 12 months or less. This solidifies Kabbage as the go to provider for short term business loans, whereas OnDeck’s requirements make it more of a long term choice. Small businesses often have difficulty meeting OnDeck’s minimum annual revenue requirements, which is $100,000 per year. Kabbage’s $50,000 per year in sales lowers this barrier to entry a lot. The other major benefit of Kabbage is, as previously stated, its flexibility. Because of its revolving nature, Kabbage can be used by businesses as almost like a line of credit, instead of a lump sump loan. Borrowers only pay interest on the funds actually being used, even if it is a partial amount of the total offered. Overall, Kabbage is highly regarded in its reviews from previous borrowers. The company has an A+ rating from the Better Business Bureau, and consistently receives around 4/5 stars on all major business review websites. Reviews typically praise the straightforwardness of the Kabbage process. Though interest rates are high for short term small business loans, most borrowers are aware of this going in, and don’t typically have issue with it for that reason. Kabbage is also often praised for its customer service and help center. Customer support is rarely fantastic when it comes to lending agencies, which is a huge benefit to working with Kabbage. An in-person associate is available to talk to at any time, helping its borrowers with everything from common questions about terms to specific loan calculations and timelines. In addition to the support, Kabbage is fairly active on social media, such as Twitter and Facebook, and respond to clients through those mediums as well. Overall, Kabbage is a well-received small business lender, who are straight forward about their services and fees. If you are looking for a short-term loan and think it’s overwhelming and complicated, give Kabbage a try. They might just surprise you.